Taren Point Bowling Club takes pride in being proactive in reducing our ecological foot print. The club understands the effects that operations can have on the environment and are making an active effort via a range of initiatives to reduce this type of consumption. 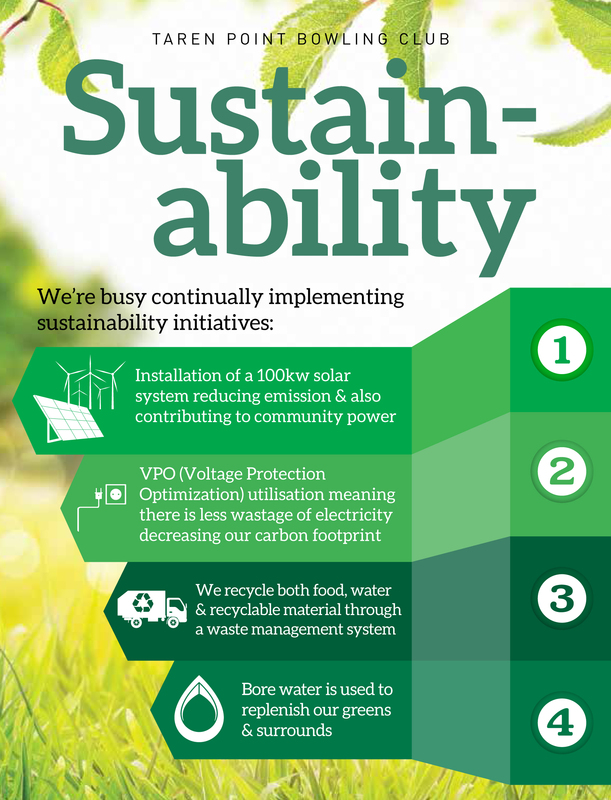 Our plan involves the installation of solar panels to reduce energy consumption, waste management practices & recycling & a commitment to improve & raise levels of awareness & knowledge of sustainability issues.